The Templewood is 3,959 sq ft floor plan with 5 bedrooms and 5 full baths, with the kinds of details you'd expect in a Raleigh Custom Home. 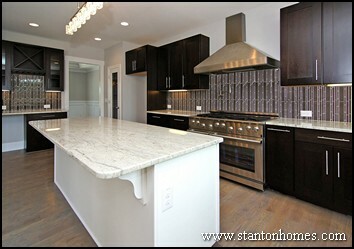 What feels like home, in the most popular floor plans for Raleigh new homes? 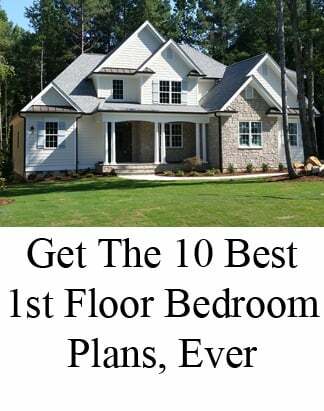 An open floor plan with first floor master bedroom, large island kitchen, space for formal and casual meals, space for in-home telecommuting, and rooms designed for flexible use all top the charts on home sales surveys. 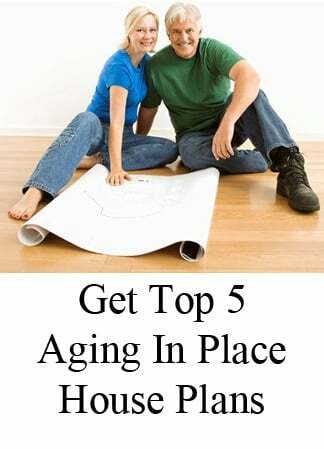 See what makes The Templewood a top-requested plan, with all the features below. 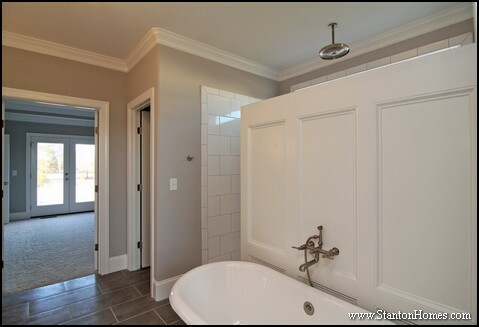 Upstairs, each bedroom has a private bath and large walk in closet. 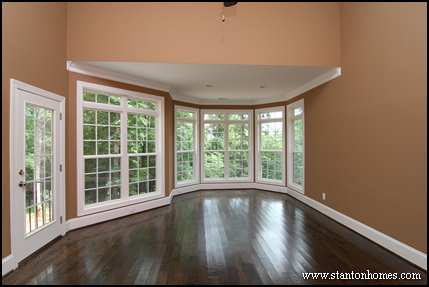 A study loft - or pocket office - offers plenty of built in storage and desk space. 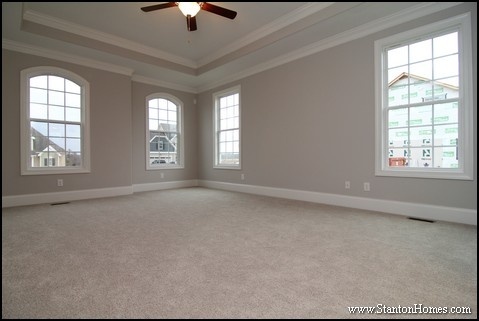 The bonus room is extremely spacious, and could also be a theater room. 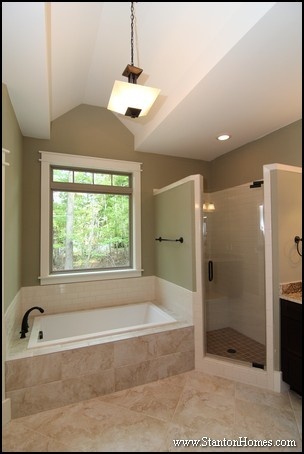 Optional attic storage is available off the bonus room! 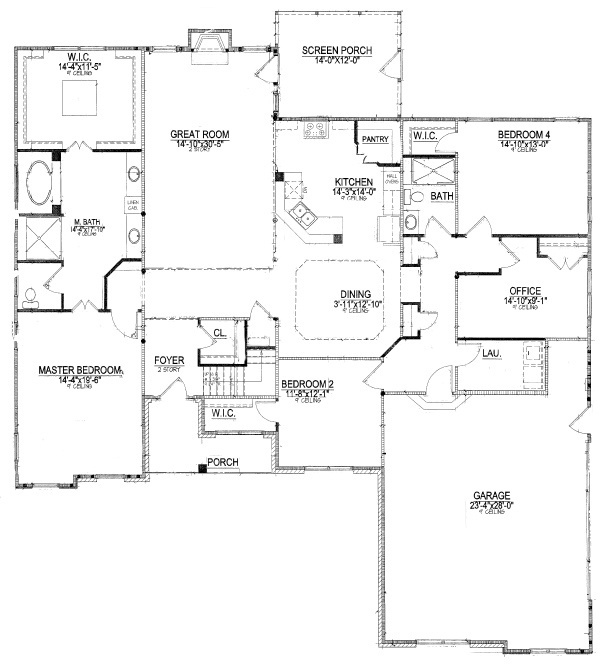 *Templewood Rendering and Floorplans are copyright Frank Betz, all rights reserved. 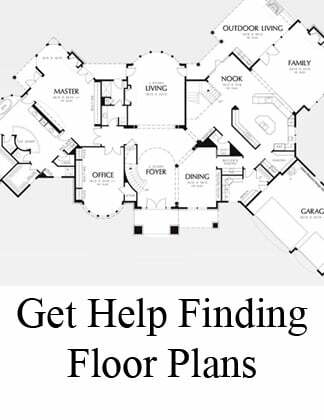 First Floor Master Floor Plans: New Plan Just Added! 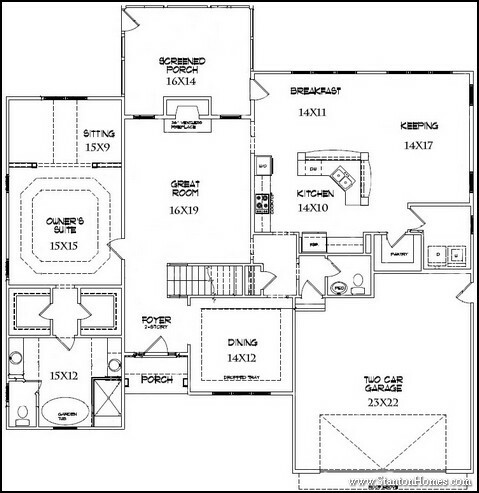 New First Floor Master Suite Plan Just Added! 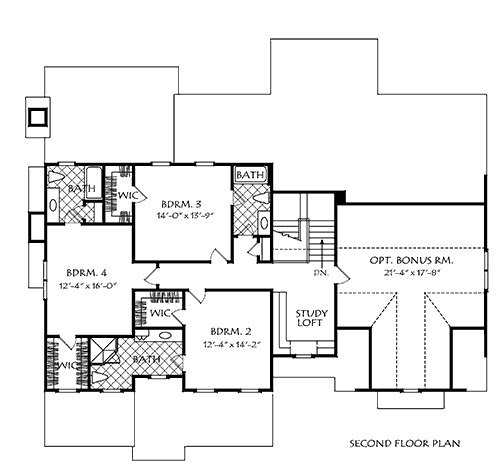 We're excited to share one of our most recent custom design first floor master suite floor plans. 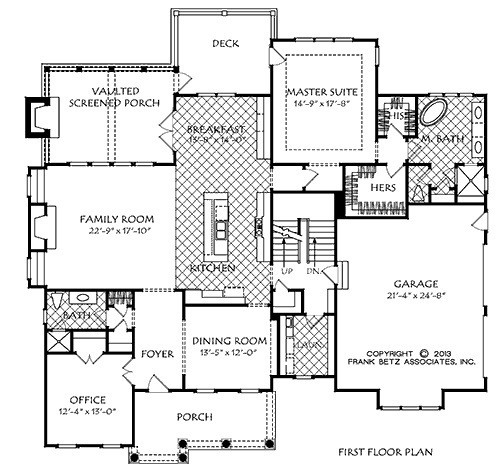 This floor plan was created during Raleigh custom home builder Stanton Homes' design/build process for a wonderful couple, who planned each portion of the home to meet their exact needs. 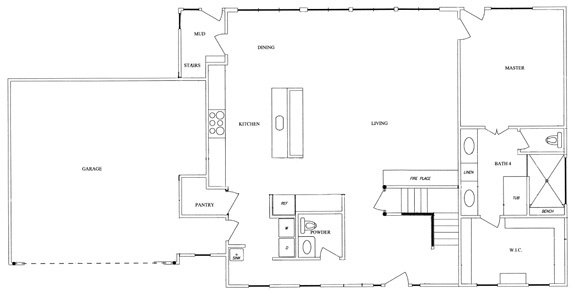 The Worthington has a great deal of appeal, packed into a budget-conscious 2584 sq ft of living space. 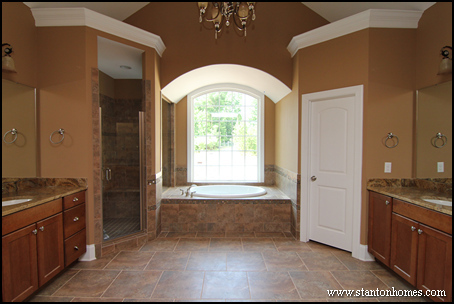 This first floor master suite home features a side entry, courtyard style oversized garage. 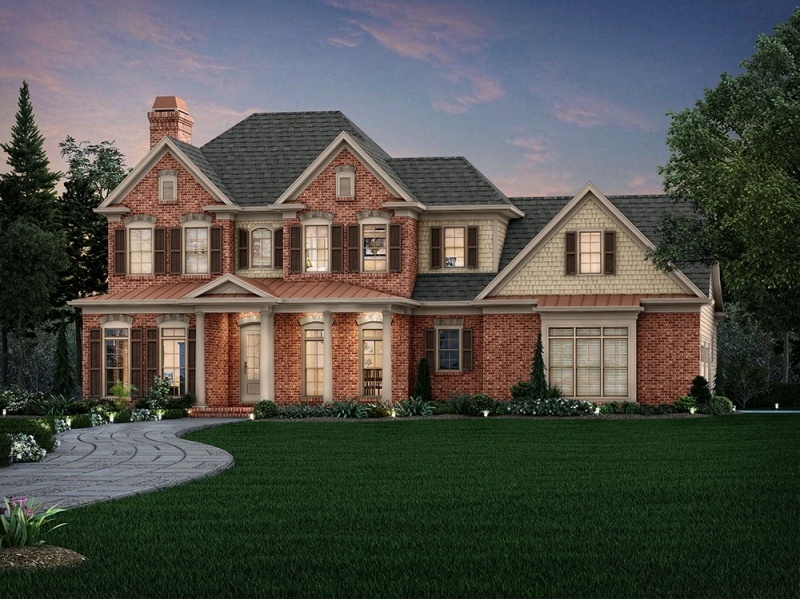 The exterior has a terrific combination of gables, dormers, and varying rooflines, with water table accents. 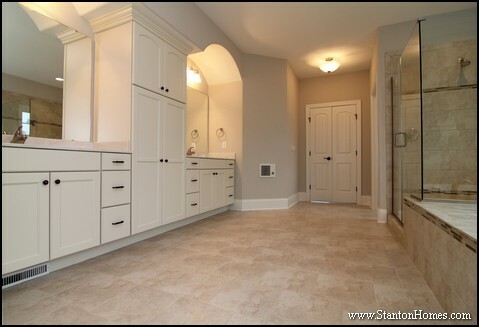 The first floor features a dream kitchen, with 8' island that includes seating, wrap around countertops, and a huge walk in pantry. 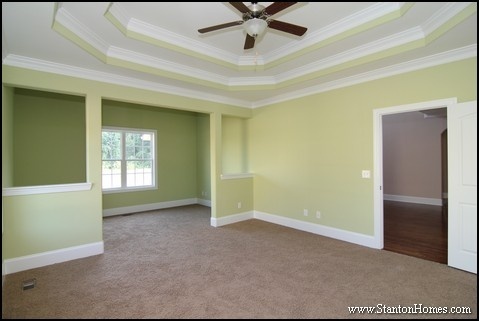 The oversized Family Room and Dining Room offer plenty of room for entertaining. 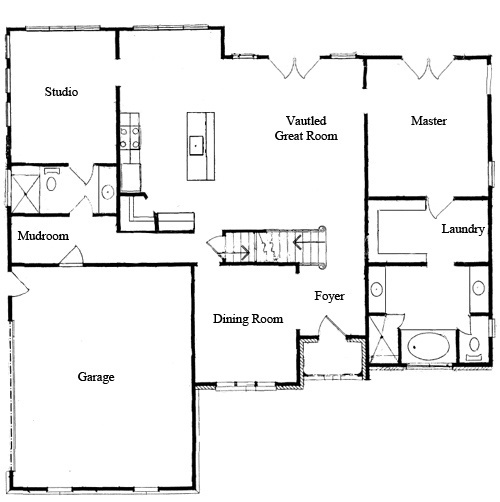 And the first floor master suite outdoes itself, with a fabulous walk in closet, oversized shower, and much more. 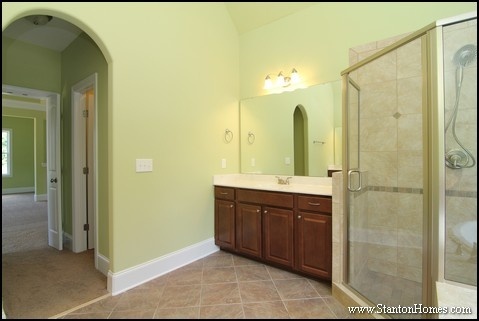 Upstairs, find two bedrooms and huge bonus room! 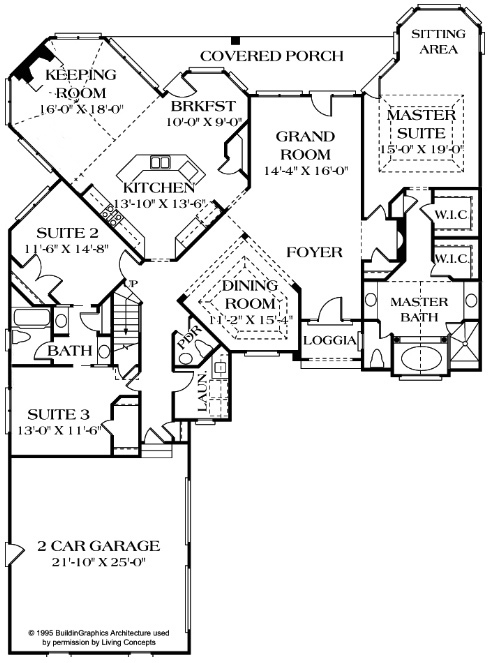 See Worthington Floor Plan Here. 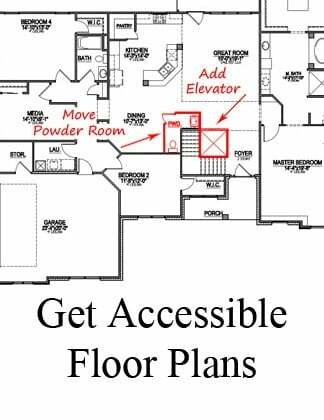 One floor living, except for guests or children! 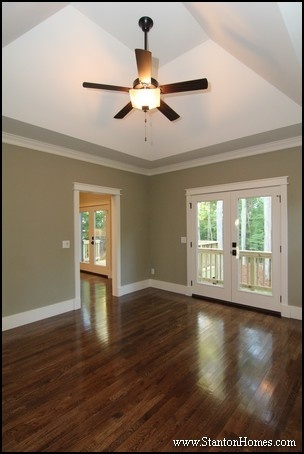 Raleigh first floor master bedroom homes are becoming more popular, and this home is a great example of why! 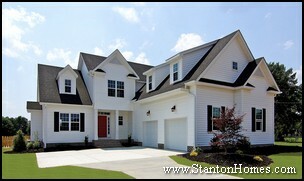 Interested in first floor master suite homes?